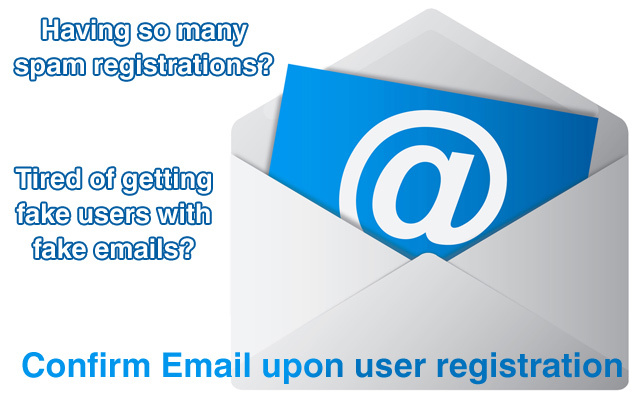 How about the allready registered users? Are they also gonna have trouble with reset password? I hope that this works only with new users. 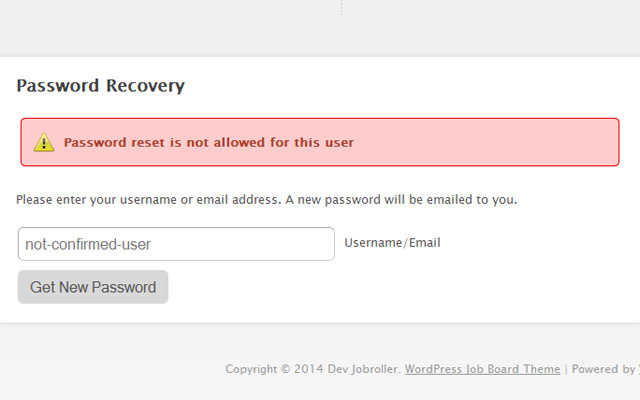 Password reset restriction is only for newly registered users which haven’t activated account yet. would it affect current register user on live site? No, not at all, it affects only newly registered users. Is this compatible with child themes such as Directory child theme from Spartac? Yes, it is compatible with all child themes. 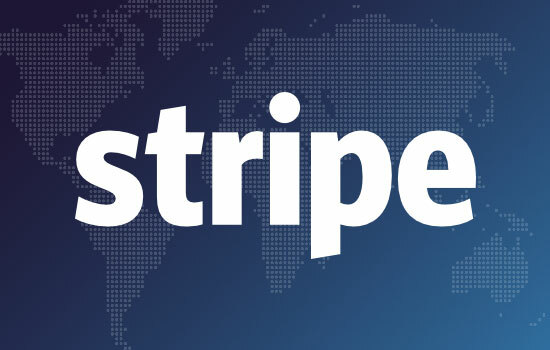 Will Appthemes implement this plugin on their own themes so customers can demo it to see how it works and functions? Probably yes, currently we planning to create demos for plugins we sell. I’m in AppThemes Club – and should be able to download for free – but can’t find it in my AppThemes Club Developer download site? But Item is marke to be in club? Please try one more time. It should be available now. confirmation email is a right way – but still not enough – there should be also the possibility to block certain domains – because there a hugh amout of fakemail servers like e.g. http://www.gentlesource.com/temporary-email/ out there. But I’m really happy that Appthemes start working on these problems and hopefully this plugin only start/beginning for a real new secure registration process in future. We will consider adding that feature into next release. Till it happen, all inactive accounts are displayed on separate tab in wp-admin, so it’s easy to filter and bulk remove older one. I bought and installed the email confirmation plugin and when i did it seemed to have made the stars on some of my listings disappear. So when a user goes to leave a review the stars are not there. See the graphic at http://www.ilike941.com/wp-content/u…ing-review.png. How do I fix this? Confirm Email plugin don’t do anything that could affect star ratings on your site. You’re right. it was another plugin that was causing the problem. Thanks for your prompt response. I’m enjoying the plugin. Thanks so much meloniq! If you happen to look at my threads, I’ve been asking about this a lot in the past with no solution. This is the way it should be, really appreciated and at a great price. Will be buying soon. 1. 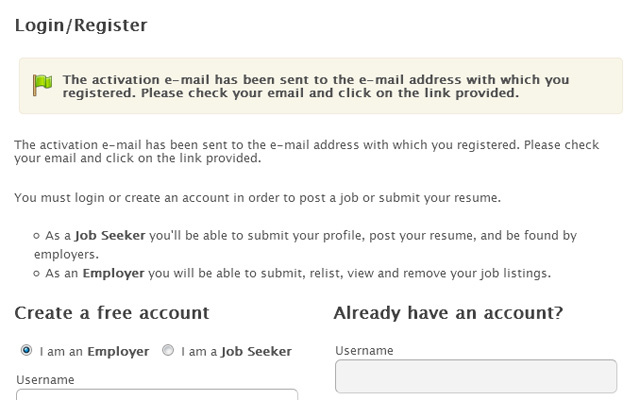 The activation link in the email is not hyperlinked, I’m using in for Classipress. Other emails I get from my Classipress site have hyperlinks. Is there a setting or is this an issue? 2. I get two emails, the normal none from the site and the activation email. How do I make it not send the not needed one? CP version?! Child theme used?! Plugins installed?! Please open thread on forum and provide informations for above questions. I have “OneAll Social Login” installed with Classipress – those who sign up via a social platform, do they still have to validate their email address? 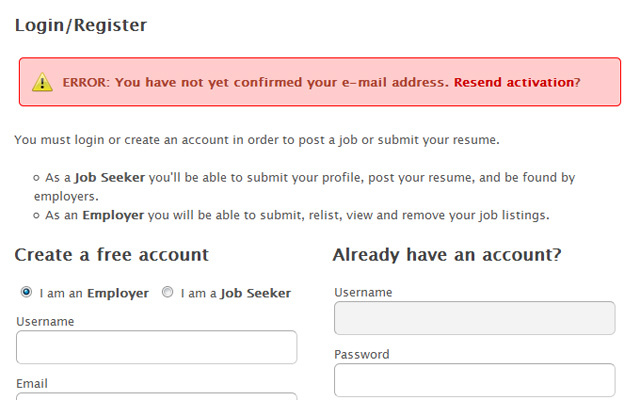 Or is it only those who create an account with an email address and not via a social platform. I haven’t tested it with “OneAll Social Login” plugin, but I believe that users who sign up via social plugins like this one don’t need to go through confirmation email process – they already confirmed it when registered eg. on FB. Having the url non-hiperlinked is very unprofessional. 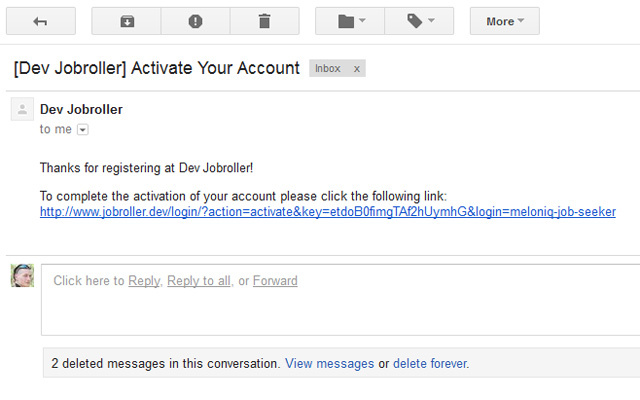 Now you have an activation url hiperlinked. olponom, thanks so much. Meloniq won’t respond so I am so frustrated. Will try this soon can’t wait. Hello Meloniq! What is the best way to translate the Confirm Email plugin? Translate directly on confirm-email.php is the best way? 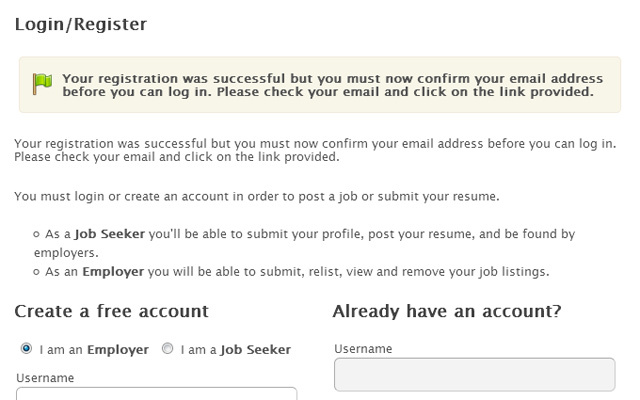 can apply it only for job lister? an option for admin to resend the activation email for pending activation would be fine – even better if an additional hint message could be insert. I would need to create html emails instead of the text the plugin is sending. This plugin is confusing my users. They are getting two emails. When they signup they get an email saying this is your username and password with a system generated password, even if they set their own. Plus at the same time they are getting an email saying click here to activate your account. 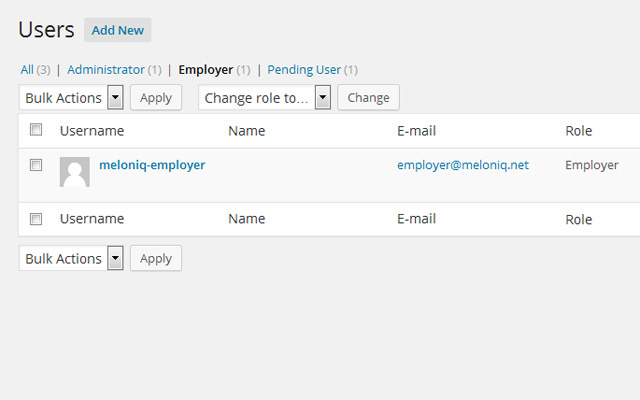 Hum this plugins don’t work, it don’t set roles pending to new user register :! Thank you for reporting! I have logged mentioned issue, and I’ll look at it shortly, at the compatibility with recent WP releases. 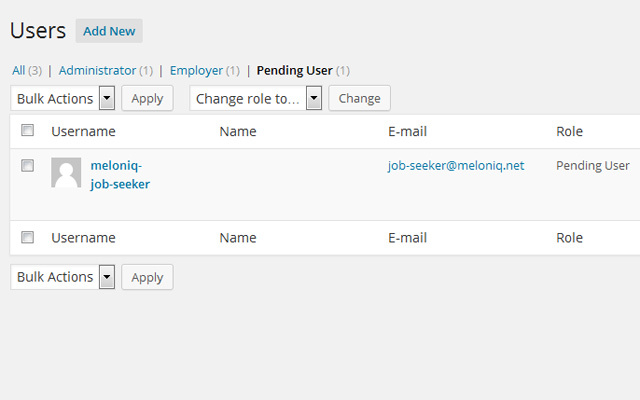 Some time this plugins don’t work and don’t create role Pending User. Is it possible to inform whether the “plugin Confirm Email” is compatible or not with “Plugin Agreed”?